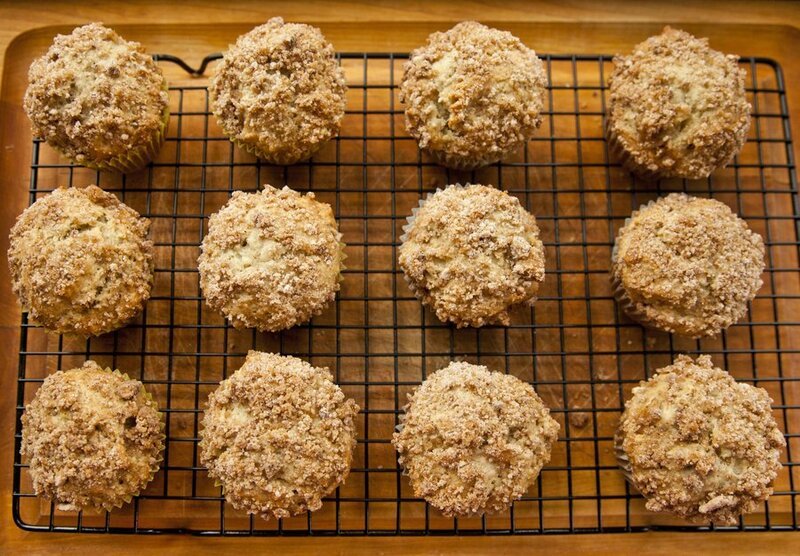 I don't bake or eat muffins very often, but everytime I make them, I always wonder why I don't make them all the time. 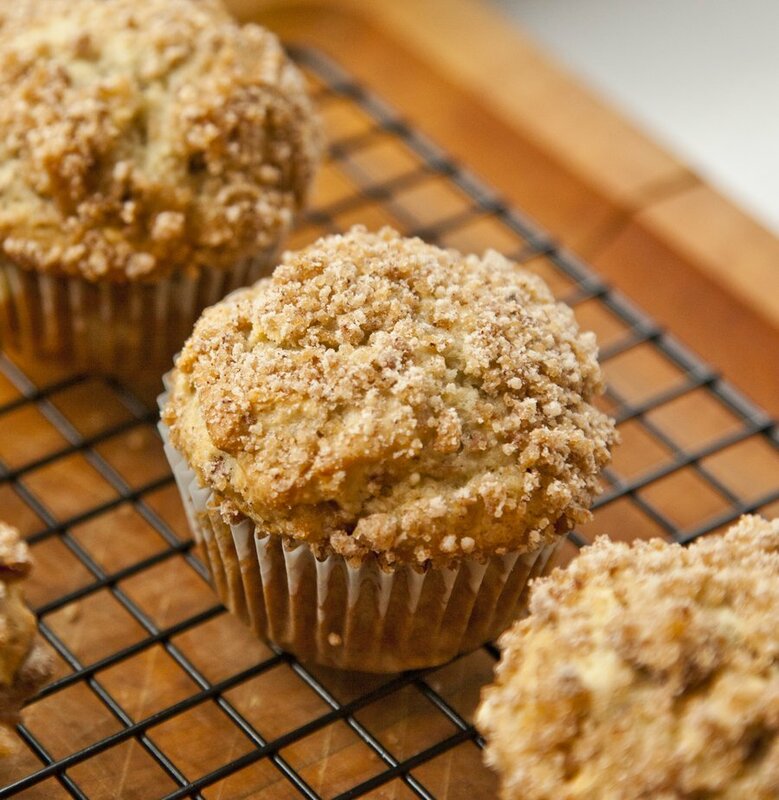 I think Banana Muffins are one of the best flavors out there....they're not super sweet, and when paried with some crushed pecans, it's the perfect balance of flavors and textures. 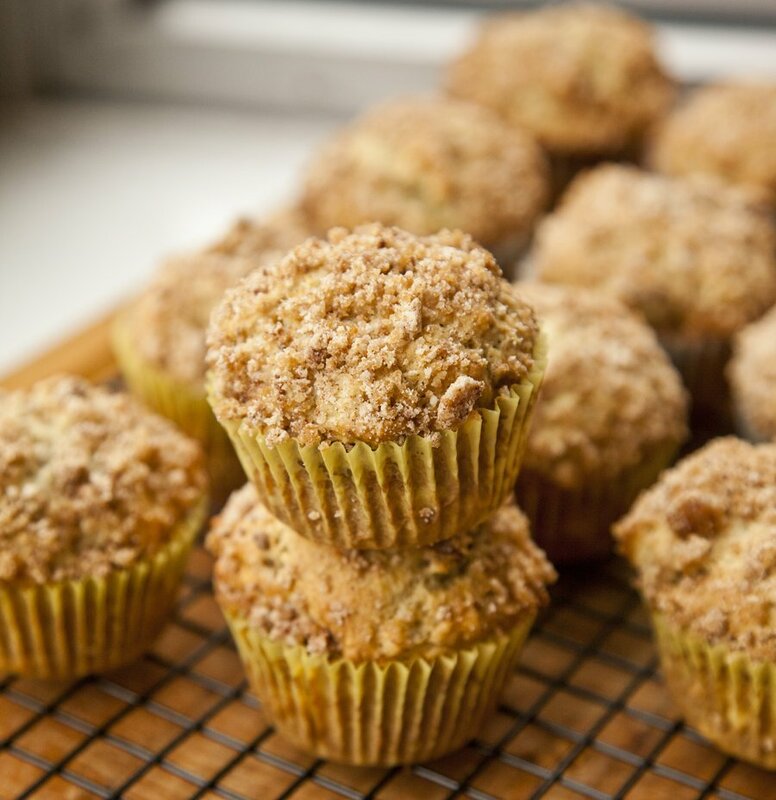 But let's be honest, the best part of the muffin, is the crumbly sugar top....when a muffin lacks said top, to me it is a muffin fail. You need that topping! 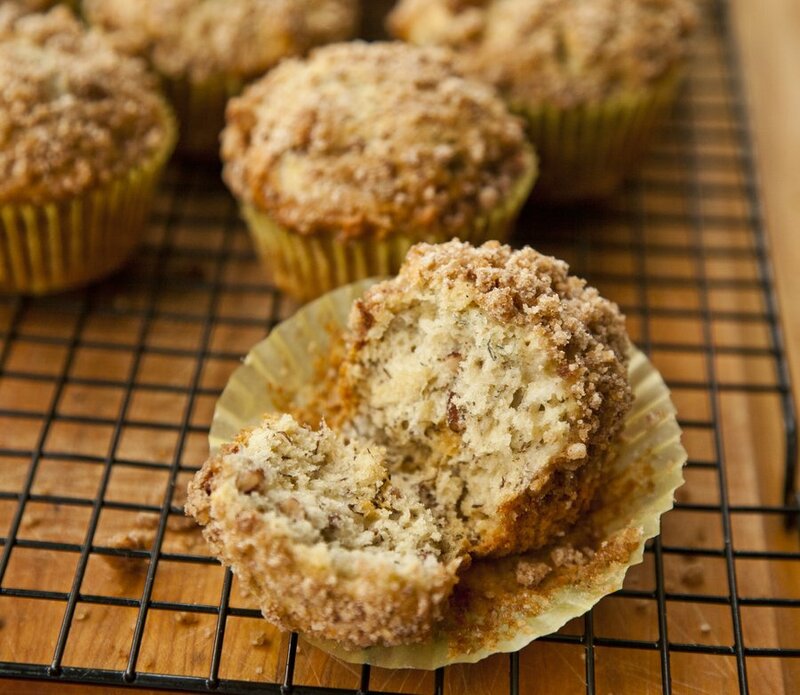 So this muffin has it all: moist center, crunchy pecans, and the cinnamon sugar topping! Preheat your oven to 375 degrees. In a large bowl combine your 1.5 cups flour, baking soda, baking powder and salt. Mix together well. In a separate bowl mash up your bananas. 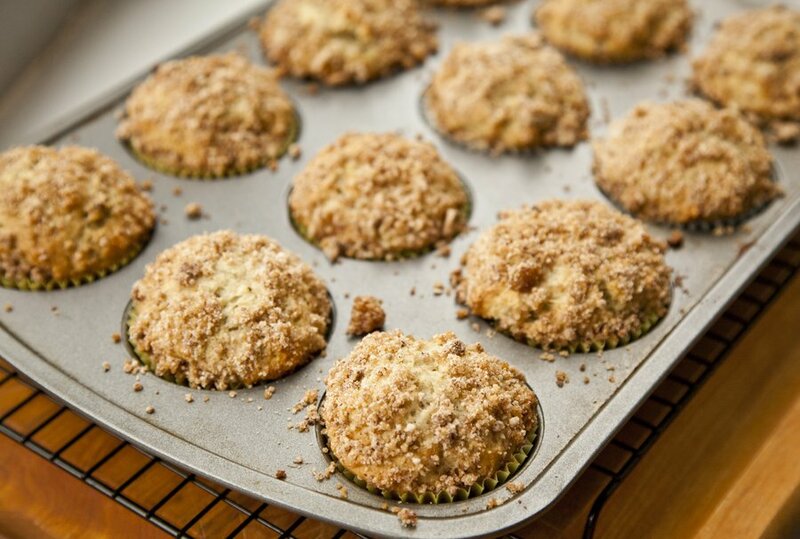 To the bananas, add the sugar, egg, vanilla, and 1/3 cup melted butter. Mix together. Pour the banana mixture into the flour mixture and add in your pecans. Mix together until completely incorporated. 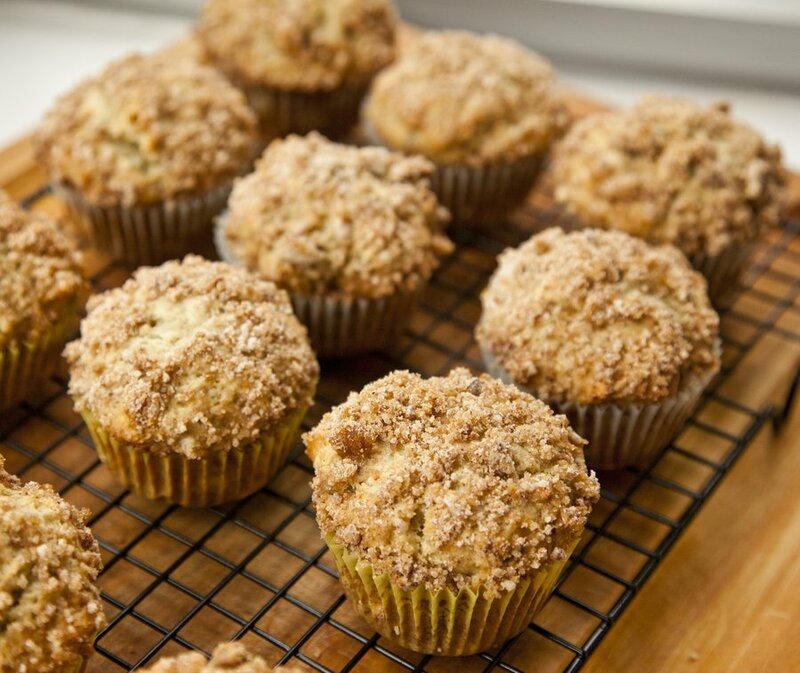 In a separate small bowl, mix together your brown sugar, 3 T Flour, cinnamon and 1 T melted butter. Mix together until crumbly. 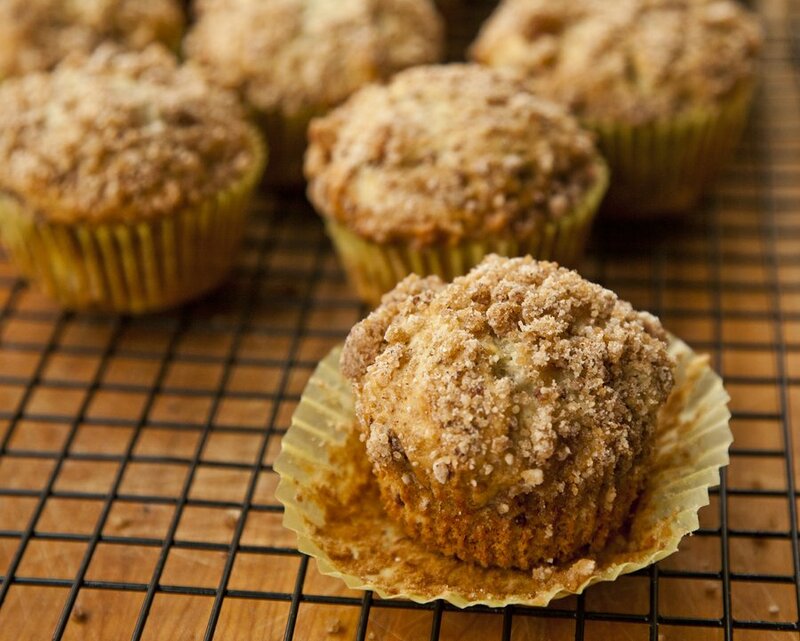 Line a muffin tin with paper muffin cups. 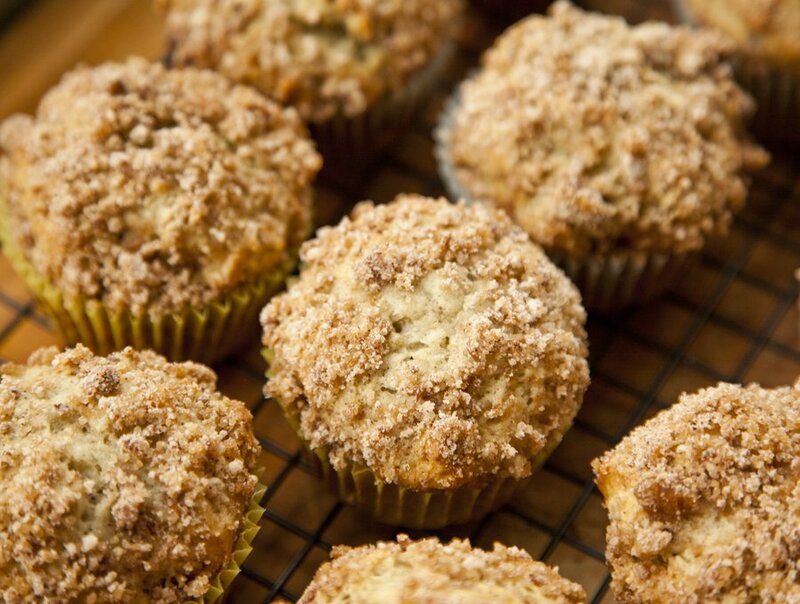 Pour your banana mixture into the cups evenly, then top with your cinnamon crumb mixture. Bake in the oven for 22-25 minutes (until you stick a toothpick in the center and it comes out clean). Let cool for 10 minutes.